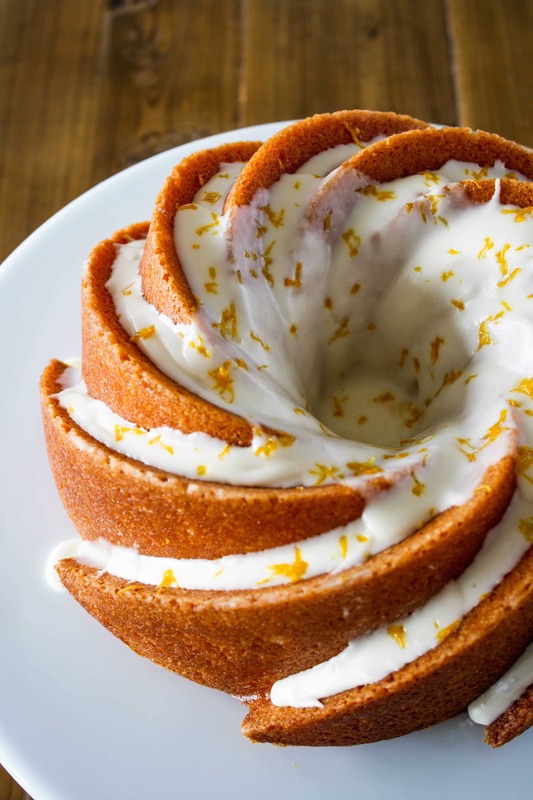 A moist and delicious bundt cake with the sweetness of Meyer lemons. Perfect for afternoon tea of even breakfast! 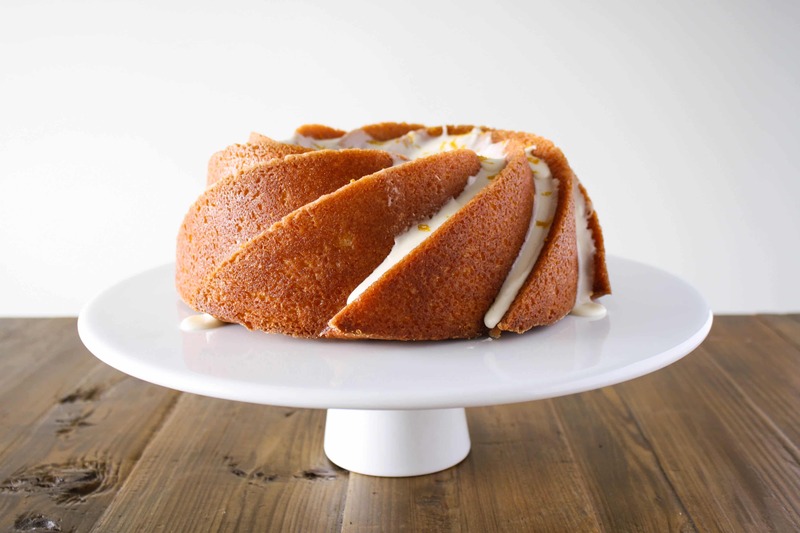 How stunning is this Meyer Lemon Bundt Cake?? Seriously, I love this new bundt pan. I can’t remember where I first saw it, likely on Pinterest somewhere. 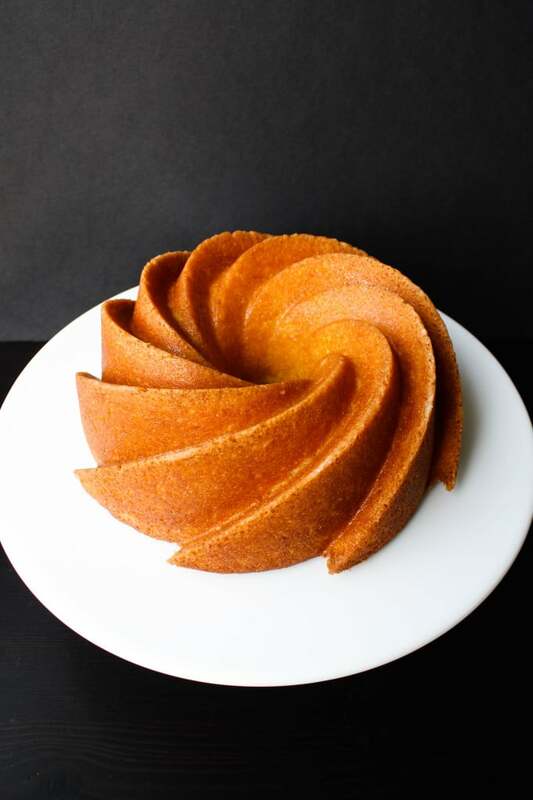 I had no idea what it was called, but a quick search for “spiral bundt” led me to the Nordic Ware site and the Heritage Bundt Pan. Not cheap, right? Especially with the Canadian dollar being what it is. I am currently jobless, so there was no way I was going to spend this much on one cake pan. Except that I scored a wicked deal and I’m going to tell you all about it. The lowest price I found online was at Bed Bath & Beyond, so off I went to my local store to see if they had it. Unfortunately, they didn’t. The salesperson told me I could order it online or drive 30mins to the North Vancouver store. Neither of these was appealing. I didn’t want to pay for shipping and I was too lazy to drive that far to get one, so I asked if they could order it for me and get it transferred to their store. Well they could, and they did. Except even better, I had it shipped to my house for free AND was able to use my 20% off coupon to get it (which you can’t use if you order online). So, all in it cost me a total of $30. Awesome, right?? I already knew what I wanted to make with my fancy new bundt pan. I’d come across a bunch of recipes lately using Meyer lemons. I had no idea what these were, but people were raving about them. 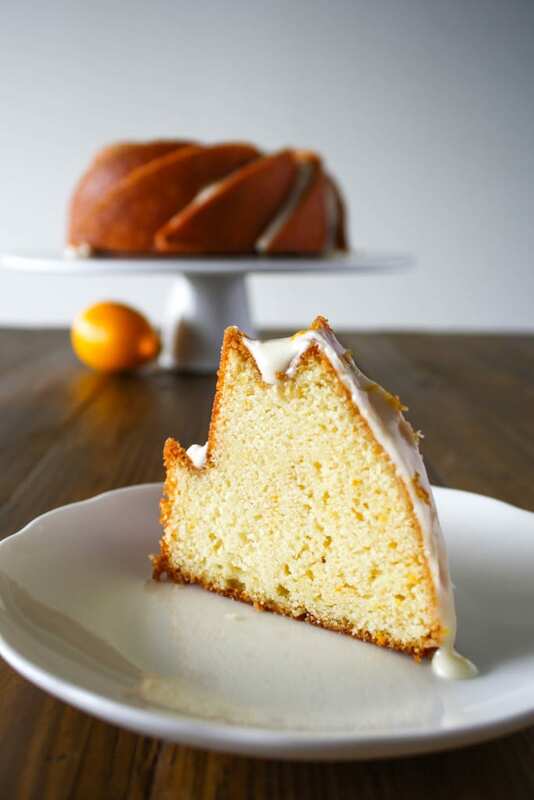 Naturally I had to see what all the fuss was about and this Meyer Lemon Bundt Cake was born. Meyer lemons are sort of a cross between a lemon and a mandarin orange. Sweeter than normal lemons, with a unique flavour. AKA, delicious. I was both surprised and excited when I actually saw some at my local fruit and veggie shop! I did a bunch of research on recipes and used this one as a baseline but changed a few of the ingredients/amounts. I had some leftover sour cream sitting in my fridge that I wanted to use up, so I added that in place of the heavy cream. 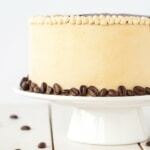 Sour cream is a great addition to any cake — it adds a ton of moisture and I try to use it often. I also increased the amount of lemon juice in the cake, as I wanted to it have a strong flavour. I wanted the edges of the cake to be nice and clean, so I put a bit of batter into the pan and nudged it into all the nooks and crannies with a spatula. I didn’t want any air pockets! One thing to note is that this recipe made a LOT of batter – too much for the 10 cup Heritage bundt pan, in my opinion. 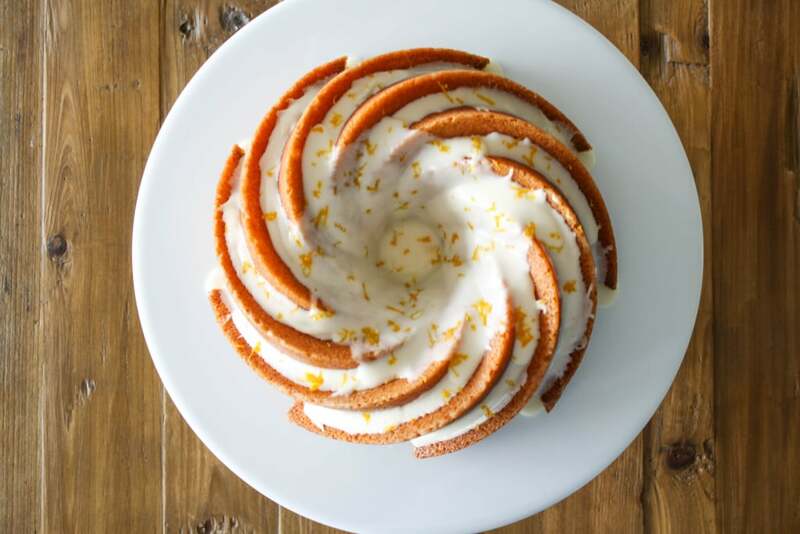 So if you’re using this bundt pan and this recipe, plan to make 6 cupcakes as well, which is what I did….after I poured all the batter into the pan. I noticed that it was too full, so I scooped some out and made cupcakes with the extra. A 12 cup bundt pan would work perfectly. 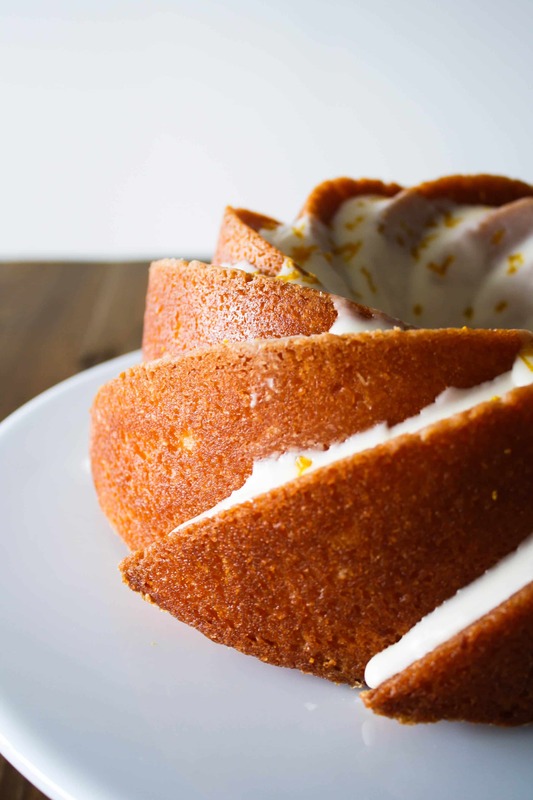 While the cake is still hot, you poke it with a skewer and brush it with a Meyer lemon syrup, then once it’s cooled it gets glazed and topped with some lemon zest. I used a total of 3 lemons for this cake. It came out perfectly moist and delicious. For me personally, it could have been a bit sweeter, so next time I’ll either add more sugar, or more glaze, or both! Preheat oven to 350F and grease & flour a 12 cup bundt pan. * I use homemade cake release. Be sure to get in all the cracks of the bundt pan. Whisk flour, baking powder, baking soda, and salt together, set aside. In the bowl of an electric mixer, beat butter until smooth. Add sugar and lemon zest and beat until light and fluffy. Add eggs one at a time, fully incorporating after each addition. Add flour and milk alternately, beginning and ending with flour (3 additions of flour and 2 of milk). Fully incorporating after each addition. Add sour cream and lemon juice and mix until combined. Add some batter into your prepared pan and press it into the cracks of the bundt pan with a small spatula. Add remaining batter until pan is no more than 3/4 full. Smooth the top with a spatula and whack the pan against the counter to evenly distribute. Bake for 50mins or until a toothpick inserted into the center comes out mostly clean. Place cake on wire rack to cool for 10mins. Whack the pan on the counter to loosen the cake and turn out onto wire rack. While the cake is still hot, poke it will a toothpick or skewer and immediately brush with syrup. 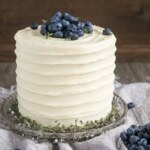 Allow cake to cool completely. 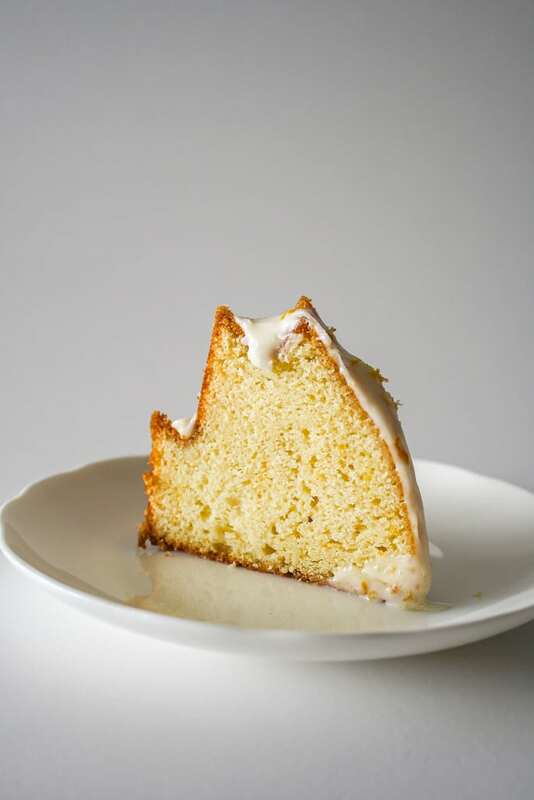 Once cake has cooled, drizzle glaze over top. Place lemon juice and sugar into a small saucepan. Cook over medium heat, stirring often, until simmering and all sugar has dissolved. Set aside until cake is ready. Place powdered sugar, cream, and vanilla into a 2 cup measuring cup. Stir with a fork until fully combined. Drizzle over cake. 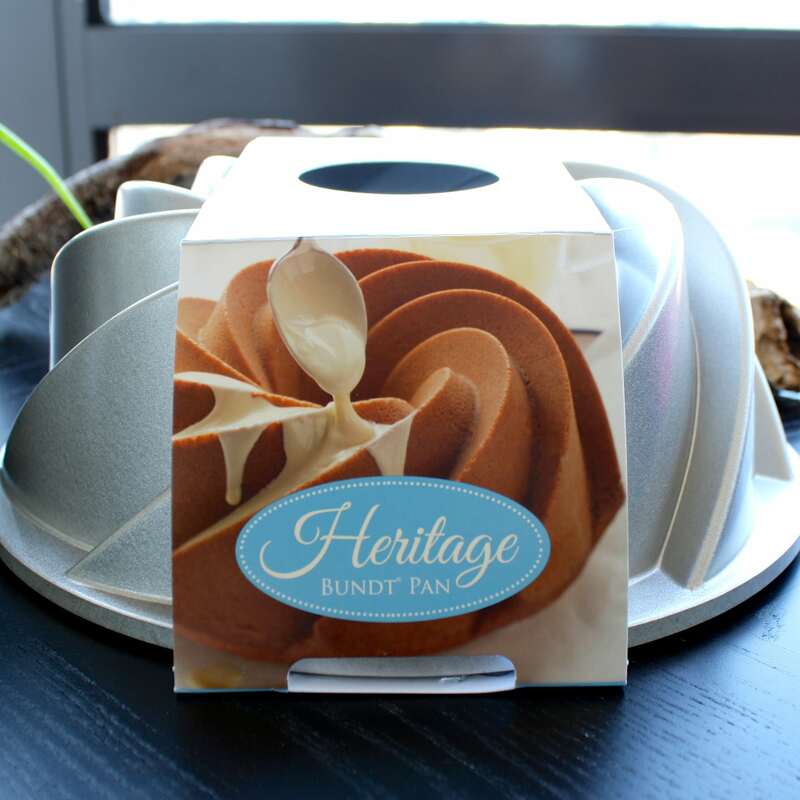 *Note: If using the 10 cup Heritage Bundt pan pictured, the recipe will make 1 bundt and 6 cupcakes. Adapted from Foxes Love Lemons. Hi Ky! Thanks for the tip. I’ve never tried a silicone one myself so let me know how it turns out! 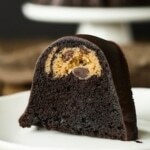 Love the recipe, especially as it matched the type I was looking to make in my new swirl bundt tin, jackpot. I’m struggling a bit with the glaze. Here in the UK heavy whipping cream is “double cream” so used it in liquid form with icing sugar and vanilla extract mixed gently with a fork but it just made a semi solid paste more like cookie topping. Is the cream meant to be whipped? Though that’s hard with such a small amount. Appreciate any advice. Hi Vicky! I would just add a bit more liquid until it becomes a glaze consistency. You can also use water or lemon juice instead of the cream or in addition to to thin it out. Double cream contains more milk fat than whipping cream. I would use milk in UK, as UK milk also contains more milk fat than in the US. Yum! hi ,did u use cale release in this recipe ? Hi Nadia! I believe I did, yes. These days I use Pam for Baking spray instead. Hi Diane! So exciting. I hope you guys love it as much as I do! Hi. If I don’t have Meyer lemons and bake with regular lemons do I need to adjust the sugar amount to contend with the acidity of regular lemons? I just picked up 2 Nordicware bundt pans (have 3 bundt pans now. Fleur de lis, Crown and Jubilee) and can’t wait to bake. Since my family is a big lemon fan I figured why now a lemon bundt cake? Your help is greatly appreciated!! Thanks!! Hi Frankie! I don’t think you really need to adjust the sugar. It might be a bit more tart, but I think there’s enough sugar in the recipe to make it ok. You could add an extra 1/4 cup if you’d prefer it sweeter. Let me know how it turns out! I know this was posted last year,but I just found it on pintest and it looked so good I just had to try it.I found the heritage pan on amazon for 23.76 and free shipping the best price that I .I am a lover of Meyer lemons but had a hard time locating them,but I would not give up until I did.I tweaked the glaze portion a little by adding a small amount of lemon juice and zest and it is delicious. Hi Ms. Rita! Awesome deal on the Heritage pan, wow! I’m so glad you liked this recipe :). hello .. i was wondering if i can replace the sour cream ? Hi Heba! Yes, you could use yogurt or buttermilk instead. 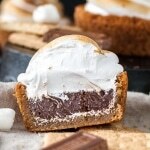 Could I make this using gluten free flour? Hi Jacquie! Yes, that should work — just check that the GF flour has some sort of gum as part of the ingredients (xanthan gum or guar gum, etc). Hi Jacquie, I don’t know the ratio off hand, I almost never do GF baking, so this is just what I remember from school. You always need some sort of gum in there when doing GF — I know some GF flour blends include it, but I don’t know the exact ratio. A quick google tells me you’re right at 1tsp per cup! Thanks Olivia! I just love your recipes and how you tell us about his the recipe came about of what you would do differently, you write it in such a way that we could be sitting at the table talking about it. I really want to try some of your other recipes that you have posted, I just need to time to make them. Especially the lemon ones, I found some Meyer lemons at Costco this week! Thank you Jacquie! That’s so nice of you to say as it’s the tone I go for when writing. I’m glad it comes across! Meyer lemons are SO yummy. 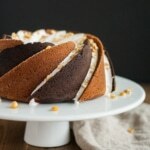 I actually tried them for the first time when I made this Bundt cake. And yes, I saw them at Costco too — might have to pick some up! Which is the correct measurement? I don’t want to make the syrup so strong it ruins the cake. Since it is the afternoon before Thanksgiving, I’ll make the syrup with one lemon and taste it before adding the juice of the second lemon. Hi Rob, ack good catch! I think I must have used 2Tbsp of lemon juice in the cake, as I distinctly remember using 3 lemons total… At any rate, 1/4 cup lemon juice in the cake would be perfectly fine (that’s 2 extra Tbsp), it just might have a stronger lemon flavour. The syrup ratio I listed was correct, but if you want to cut down on the lemony-ness of that, try it with one lemon like you said. Let me know how it turns out and sorry for the confusion! Made this tonight and the in-laws loved it! 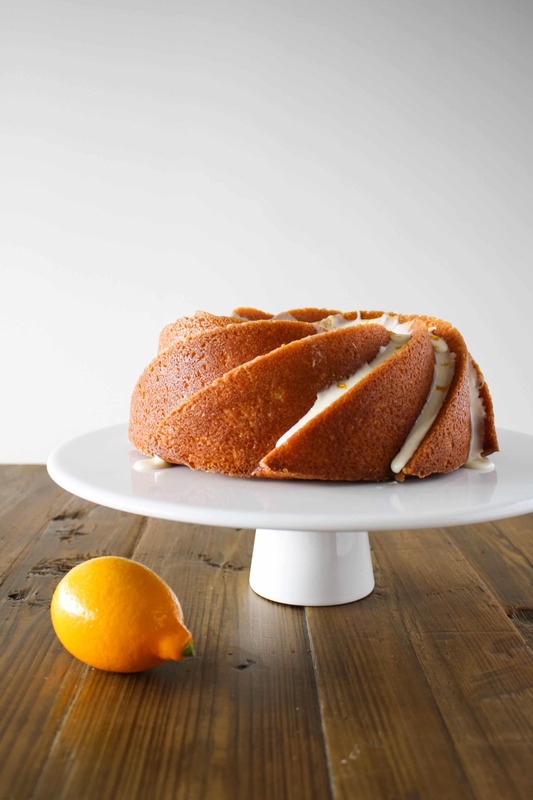 I too love Meyer lemons and I love this cake! I used my fall bundt pan with a leaf pattern and it turned out perfect. Thanks for the great recipe. 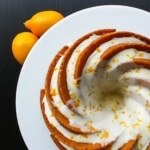 Can I make the bundt a day or two ahead of time? And if so, how do I store it? In the refrigerator? Thanks for the help! This looks delish! Hi Kat, thanks!! Yes you can make it ahead. I usually make my Bundts the day before glazing. I would store it covered on the kitchen counter, unless you’re in a hot/humid climate. Storing baked goods in the fridge tends to dry them out. If you have room in your freezer, you could make it days ahead, wrap it really well in plastic wrap and store it in there. The freezer actually helps baked good retain their moisture, go figure! When you make it a day ahead do you apply the syrup on the day of baking and then just the glaze the following day? Also – do you brush on the syrup? How many times do you poke it with the toothpick before applying the syrup? Thanks! Looking forward to making this! Hi Robin! Yes, brush with syrup when it’s still hot! I don’t know how many times I poked it… a lot 🙂 I wanted to make sure that syrup really got in there. Glazing the following day is totally fine. I’m so excited that you’re going to try this! Let me know how it goes :). Great idea Jamie! I’ll have to try that on a future bundt :). Another piece of art that I had to pin. Simply wonderful. Do you mind describing how you drizzled on the glaze to get it looking so pretty? I’ve seen others do a similar cake in this pan and the glaze has never looked so nice before – it’s all drippy and gloppy and just not nearly as clean-looking. Hi Brooke! I know exactly what you mean about “drippy and gloppy”, my strategy with this one was to have it look NOT like that. I made the glaze in a small measuring cup and slowly poured it into and down each crevice, being careful not to pour too much as it would overflow into the next one. Then I poured some glaze over the top, but more towards the center so any extra would go into the hole in the middle rather than over the sides. This is the coolest bundt cake pan! And too stunning with that Meyer lemon cake. Oh gosh what a beautiful cake! I love anything lemon flavoured! Mmm that glaze looks gorgeous! Thanks Lucy! Lemon desserts are my fave as well. This one is especially delicious but not too sweet. Admittedly, could have used a bunch more glaze, but I’m a glaze kinda girl :). Me too Mireille!! Nordic Ware has such unique, stunning pans. I want them all. I’m lemon obsessed, and this has my name all over it!! Lovely photos as well…! Damn, I love a good deal and you totally got one. Don’t you just adore the pan? It’s absolutely gorgeous and the cake looks incredible, especially with that glaze. All the US food bloggers have been baking with meyer lemons for years so I was super excited when I finally saw a meyer lemon in Vancouver a few weeks ago. 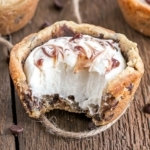 I gotta go get me some so that I can make this! Get them before they’re gone! You won’t regret it :). I totally want more bundt pans now… so many pretty ones! That is a beautiful bundt cake pan and it made one gorgeous looking cake too! The syrup and lemon glaze provide just the right amount of sweetness. Yum! Thanks Maya! I am a sucker for glaze too… the more the better as far as I’m concerned. I could totally have had a little glaze tub on the side and spread more of it onto each piece. Hah! 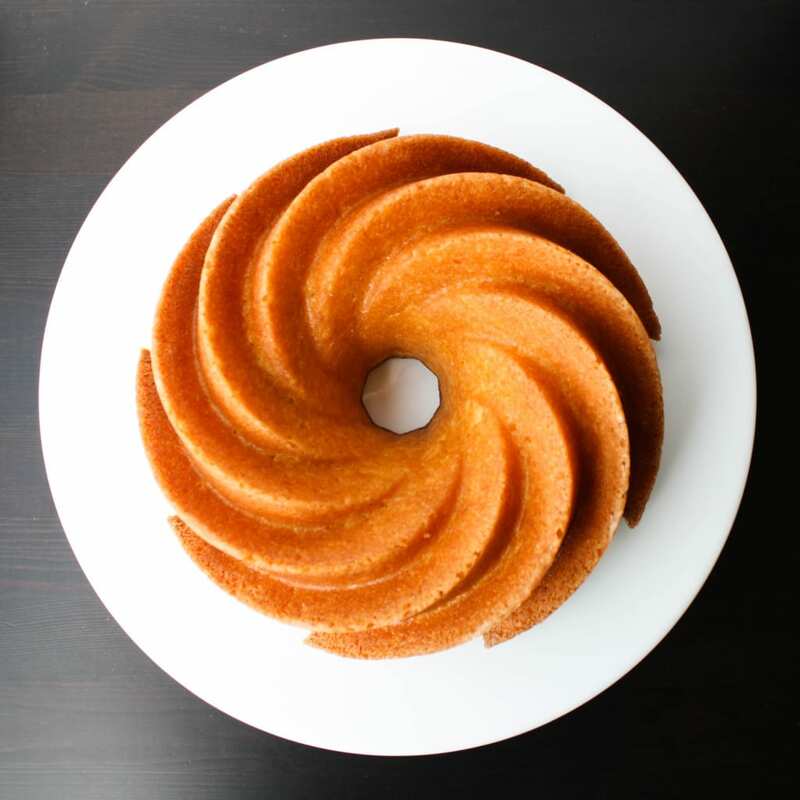 I am sure you will not be disappointed with this cake no matter what it’s baked in… but I totally support getting another bundt pan ;).